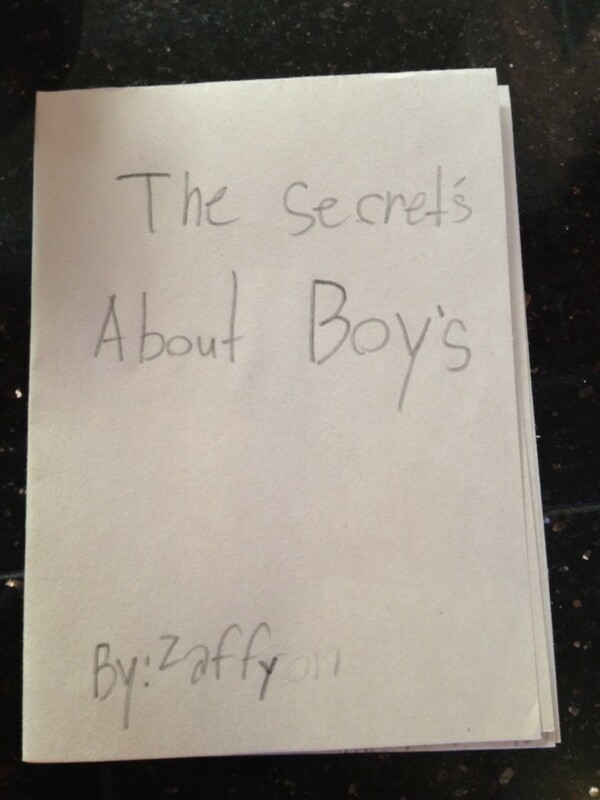 Zaffy’s 13 Secrets About Boys | "It's Not Wine, it's Mommy Juice!" This entry was posted in My Funny Kids and tagged boys, Kiddie Wisdom, love, Zaffron by Kristine Castagnaro. Bookmark the permalink. How old is this girl? It took me 70 years to come to those conclusions. And I don’t spell that good yet. Jytte! You spell just fyne! LOL! Truth from a 7 yr old! And all men are just bigger boys. Kehau! Nice to see you! I’ve been keeping tabs via FB. You seem to be doing well. Thanks for stopping by! I looooooove this! These are things my girlfriends and I didn’t figure out until we were 30. Love that girl. She must have a great mom! P.S. I mentioned you in my latest post. Kathy! Your post! What great company! Now I have to figure out what to do with all of that! I’m in the midst of a move, so essentially brain dead. Will work on it soon. Promise! 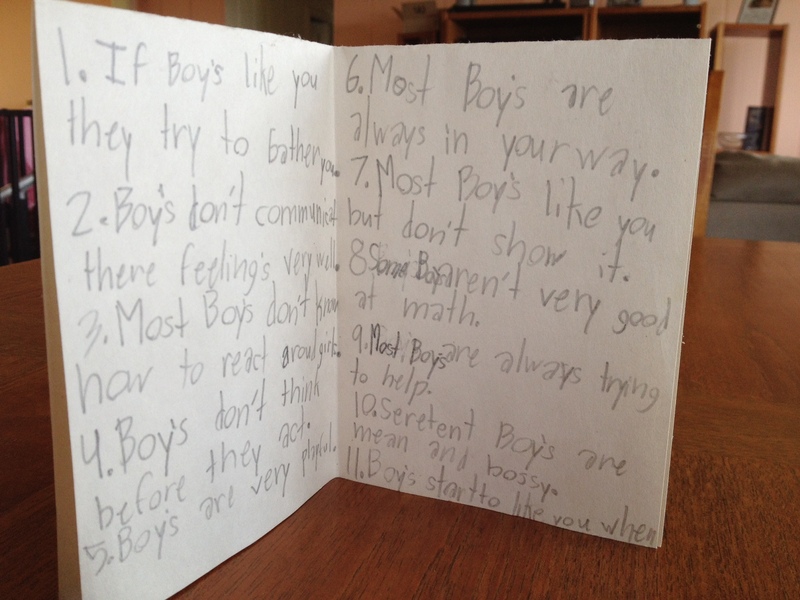 This is just awesome.. my 7 year old daughter to a tee…. So. maybe it’s time our daughters met? Come to Hawaii! Need I say it again? Our whole family is being subjected to the endless series, “The Clone Wars” so that my 7-year old can build her boy vocabulary! haha sounds amazing she will make a lot of boy-friends thanks to that! haha, no, I meant she will make a lot of friends thanks to that, but meeting boys its also an essential part of a teenage girl life, so why not!